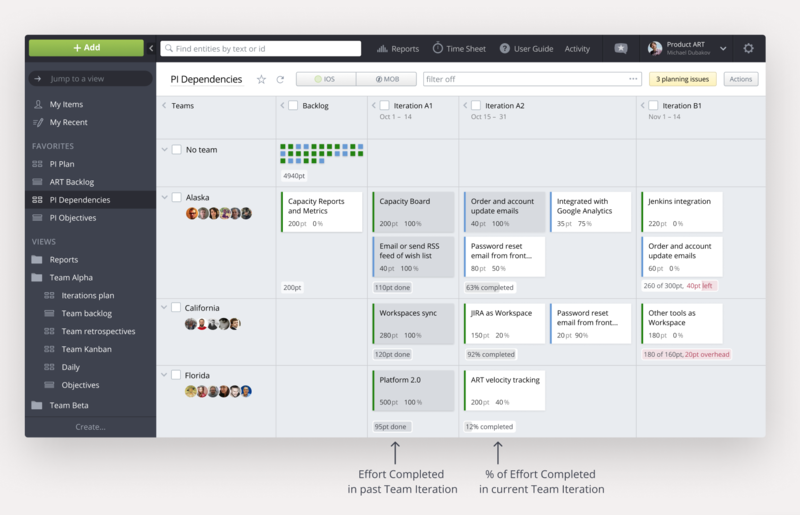 Once the Team Iteration is planned and started it is important to keep track of it. How much work is done and how much is not? 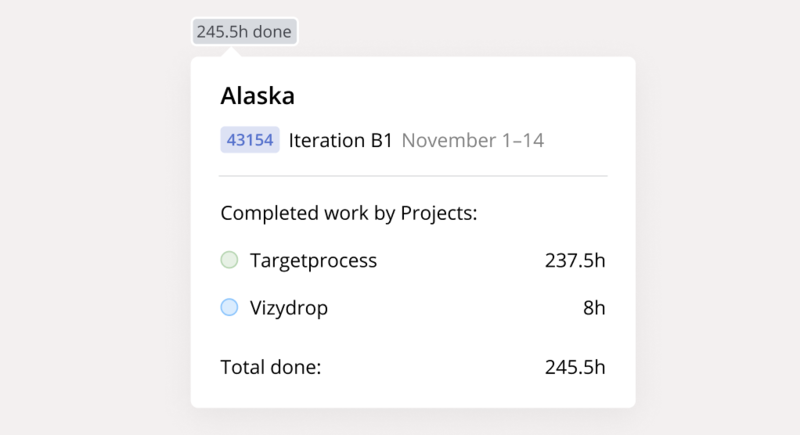 Every day the Team members update their effort remaining to complete their current work in the Team Iteration by tracking time or closing Tasks and User Stories. 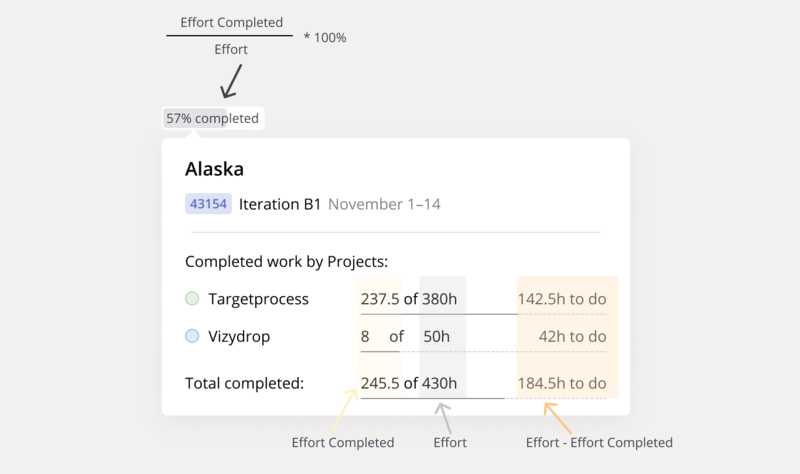 Targetprocess will help you to see the progress of Team Iteration right from the board view. It is also useful to have retrospective information about how much work has been done in previous time-boxes in order to use this information for planning future periods. Let's have a look at 2 examples. The cases below are about Team Iteration that are in progress or finished, if you want to see how effort calculation is made for future Team Iteration, please check out this article. In this case the progress badge shows the total amount of effort completed in this Team Iteration. The details view shows the distribution of effort by projects. The progress badge shows the % of completed work. The details view lists Effort Completed, total assigned Effort and Effort To Do for each Project. The values for entire Team Iteration work are shown as total numbers.